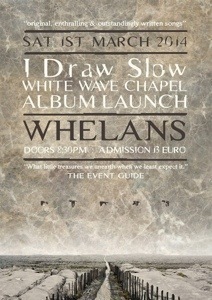 I Draw Slow will launch their brand new album White Wave Chapel In Dublins legendary venue Whelans on Saturday March 1st. After some rescheduling from an unfortunate cancellation last year I Draw Slow are delighted to be playing The Lodge in Mallow Co. Cork on Friday the 10th of May. Tickets are €15 on the door. Tickets are also available at the bar in the Lodge any time leading up to the concert. 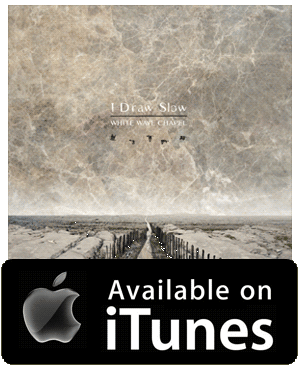 I Draw Slow are delighted to be playing with One of the brightest young talents to emerge in Cajun, Creole and Zydeco (Louisiana French) music over the last decade, Cedric Watson is a four-time Grammy-nominated fiddler, singer, accordionist & songwriter with seemingly unlimited potential. I Draw Slow Summer Schedule. Hey Folks, we are gearing up for a slew of summer Festivals and Dates across Ireland and the States. We are delighted to be playing the Doolin and Westport Festivals out west as well as The Happy Valley Festival in the lovely, but quite quite mad, Thomastown. America is treating us to all sorts of coast to coast goodies this Summer with appearances at Grey Fox in the Catskills New York, Rocky Grass in Colorado and the Great Pickathon in Oregon. We are totally stoked to be on the bill this year at Pickathon in Pendarvis Farm Oregon this August. We wanted to get there last year but alls well that ends well. I Draw Slow are delighted to have been confirmed for the Grey Fox Festival in the Catskills Mountains in New York State July 18-21st.